At Peerwith, the peer-to-peer marketplace for scientists, we recently opened the next phase of our Equity Crowdfunding Campaign with blockchain in mind. Funds raised in the campaign will be used, among other things, to roll-out the recently announced PeerScienceCoin (PSC), a new blockchain-based payment token for scientists and academic institutions collaborating on peerwith.com. PeerScienceCoin is a blockchain payment system which can essentially be used to purchase services on the Peerwith marketplace, or pay outside the marketplace with partners that support it. PeerScienceCoin is a blockchain token for science, so the type of partners is for example academic publishers and the type of payment is for Article Processing Charges (APCs). PSC will enable the differentiation between parties paying for a service and parties consuming a service on the Peerwith platform. Academic institutions and funders frequently finance services used by researchers, leading to complex and inefficient processes surrounding payments and reimbursements. PSC enables parties to buy tokens upfront, which can then be used by researchers on the platform. PSC will simplify budgeting for clients, allowing real time overviews of spend and remaining budget. PSC will also increase the efficiency of the marketplace, enabling the users to manage microprojects and micropayments with reduced transaction costs and no minimum fee. PSC also removes issues surrounding payments made in foreign currencies. Furthermore, PSC will be used as a science token within the broader researcher services ecosystem, enabling publishers and academic institutions to reward researchers with tokens for use on the Peerwith platform. Looking ahead, there is potential to integrating the token into other areas where (micro)payments are used by researchers, for example, for article processing charges (APCs) payments. On Tuesday 19 June we opened our Equity Crowdfunding Campaign to the public. Just days later we are pleased to announce we have raised almost 25% of our target! Take the time to read the executive summary of our business plan. Before you invest we would like you to have a clear understanding of what we are trying to achieve through this crowdfunding campaign. If you are ready to invest, visit the proposal page on www.peerwith.com/crowdfunding. 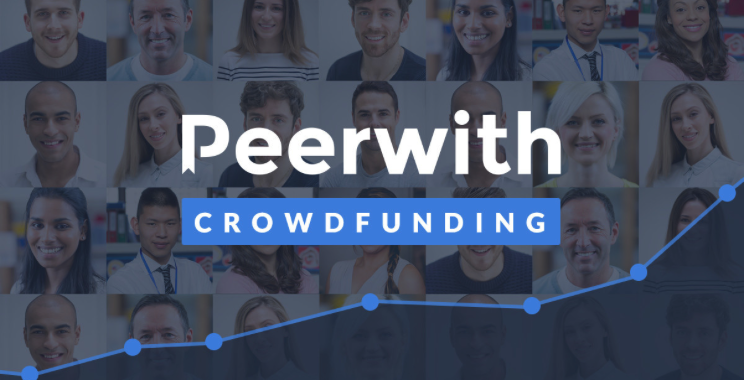 Market introduction of a PeerScienceCoin (PSC) token is one of the main purposes of funds raised through the Peerwith Equity Crowdfunding Campaign. The introduction of PSC starts with a so called “sunrise” period in which new PSC tokens will be introduced into the ecosystem. The “sunrise” will be used to test drive a number of business concepts and establish a PSC technical platform. During the “sunrise” no token trading will be allowed. All PSC, issued by Peerwith during the sunrise period will receive a guaranteed buy-back, with a 12% service fee applied. The PSC exchange rate will be fixed at 1 USD = 1 PSC. At the start of the “sunrise” period Peerwith will issue little over 3.35 million euro in PSC tokens equal to the post-money valuation of the Crowdfunding Campaign. These PSC tokens will be issued to all shareholders of Peerwith including all new shareholders entering through the Crowdfunding Campaign proportionally to the shares owned. A lock-up applies for these PSC until the conclusion of the “sunrise” period. In practice this means an additional deal benefit and an extra exit opportunity for the investors in the Crowdfunding Campaign effectively doubling your return on investment. An investment of 1000 USD thus results in 1000 PSC tokens issued at the beginning on the “sunrise” period. After the “sunrise”, once the lock-up disappears, they will be free to trade the PSC while keeping the equity stake.